“No one shall work for money, and no one shall work for fame; but each for the joy of the working” –Rudyard Kipling. 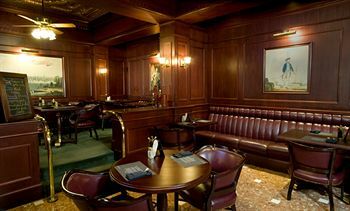 One of the best experiences I have ever had was working as a server for the Captain Cook Hotel from 2004 to 2008. 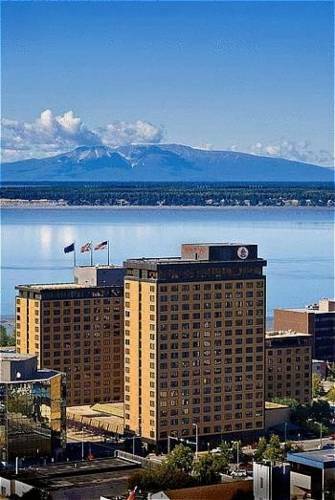 The hotel is situated in downtown Anchorage with views of the Cook Inlet and the Chugach Mountain range. It is a vast, elegant hotel consisting of three towers, each girded in beautiful stonework. It has 546 rooms, four restaurants and a ballroom that has the feel of a cathedral. Its corridors and meeting rooms are decorated with lavish art, meticulous models of seagoing ships, teak paneling and burnished brass. Much of its indoor expanse is overarched by hardwood beams. Its kitchens and work stations are clean and orderly and gleam under bright fluorescent lights. No expense is spared in providing the means and equipment for the employees to do their jobs well. Needless to say, I enjoyed working there. The Captain Cook is a special hotel. 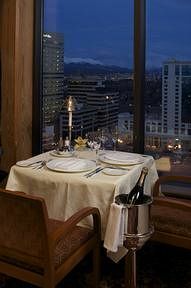 It is among a mere handful of Alaska four-star hotels and is the only Preferred Hotel in the state. Preferred Hotels and Resorts is a particularly fastidious organization whose inspectors descend unannounced on its member properties throughout the year to make sure they’re keeping standards up. There are fewer than 200 Preferred Hotels in the entire world. Best and most unusual of all, the Captain Cook is privately owned. Working there was most definitely a feather in my cap, but the experience was more than simply prestigious; being employed there was much like being part of a large family. The feeling extends naturally to the guests in the hotel. The company enjoys an international reputation and is especially endeared to the hearts of the local population. It is a beloved historic fixture in Anchorage. The late founder and builder, Walter Hickel, was twice Governor of Alaska and was Secretary of the Interior under President Nixon. However, before that he was a young man who shook off the blues of his family’s Depression-ravaged farm and came to Alaska with 37 cents in his pocket. After many years of hard work and real estate speculation made him a wealthy man, Hickel set about building his flagship business in three stages. 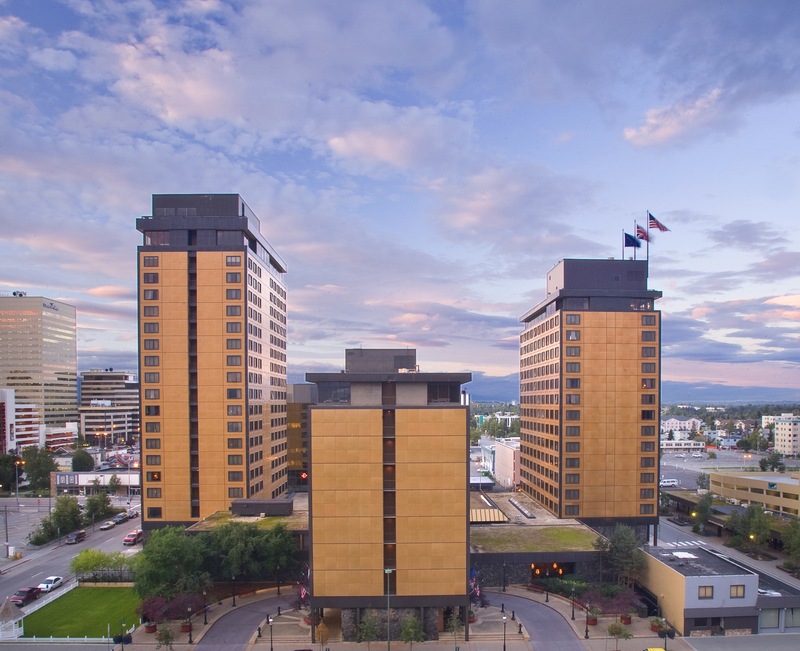 He erected the first tower of the hotel shortly after the 1964 earthquake when many people were questioning whether earthquake-prone Anchorage should be the commercial center of Alaska. Some people believe the Captain Cook Hotel was Hickel’s way of saying “Yes!” And so it was, and still is. There is a friendly feeling in the air at the Captain Cook, particularly at Christmastime, when all at once the lobby is festooned with winking lights and holly and enormous Nutcracker figures. A grand piano is set up in the Tower 2 lobby across from the Pantry restaurant, where members of the Anchorage Concert Chorus and other local groups gather each Wednesday to sing Christmas carols during the lunch hour. There are Dickensian Christmas displays in various places, and best of all, a whole section of the lobby is taken up with the largest collection of gingerbread houses you have ever seen. 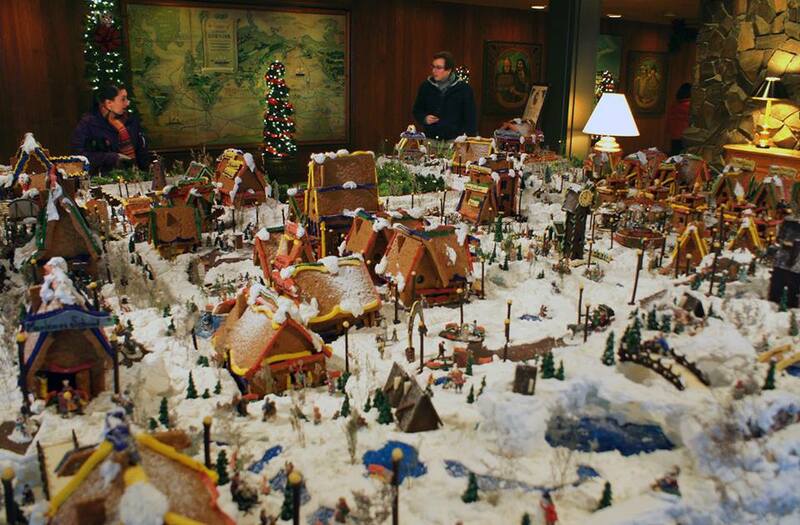 The G ingerbread Village was conceived by Pastry Chef Joe Hickel, who works many extra hours each holiday season baking the ginger slabs and assembling it. The village gets more extravagant each year. The last year I was with the hotel, the village had an electric train and miniature streets, trees, snowmen and townspeople. Joe Hickel, son of late Gov. Walter Hickel, is only one of the many Hickels who work at the hotel. Others include his brothers, Walter Jr. (General Manager) and Carl (Captain Cook Athletic Club) as well as grandsons, granddaugters and various other relations who work there seasonally. The participation of so many Hickels in the operation underscores the idea of family. The hotel felt like home for me. I met many unique, entertaining and extraordinary people there. The establishment has a way of drawing such people in. It is a defining feature of the hotel. Special things happen there. One evening I was serving a high-end dinner in the ballroom with hosted bars, live music and dancing. After the dinner had been served and cleared, a female guest, who had visited the bar a few times, approached me and asked me to dance. She was an attractive young woman, but I was naturally concerned about form. However, when I asked the captain if it was okay, she told me, “If the guest wants to dance, then it’s fine.” So I danced with a pretty lady, on the clock. The atmosphere of the hotel often fostered special bonds between the staff and the guests. 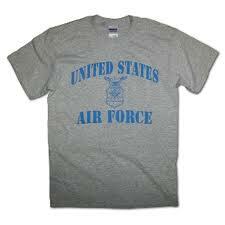 One morning, I was the lone server in charge of a buffet breakfast being served to the Women’s Air Force basketball team. They were in Anchorage to compete in the Great Alaska Shootout, an annual competition that draws scores of teams from different colleges and organizations all over the country. I had the Air Force ladies three mornings in a row. They were a lively group. Even at seven in the morning they were chatting vivaciously while they ate. I was enjoying myself as I whisked about, tending their tables. They were refreshingly informal. Because I had them on three consecutive days, I was able to learn and respond to the group’s preferences. For instance, one of my guests asked for extra strawberry jam, so on the second day, I began putting a small individual basketful of it by her place. Oh, the way she smiled to be indulged so! One of the hotel’s goals is to consistently exceed the expectations of the guests, which isn’t easy, since they’re expecting the moon already because of where they are. Therein lies the challenge and the enjoyment of pulling it off. Everything should come to your guests, preferably without their having to ask. They want for nothing and feel like family. Most surprising of all, they feel human warmth from someone they’ve never met before. This is the kind of experience desired for all the guests at the Captain Cook, and it has long been my personal standard as a server. I would never have spent so many years as a server if I didn’t love surprising people with superlative professionalism and kindness. But with the Air Force ladies, there was a surprise in store for me also: I discovered that my ministrations had made an unusual impression on them. I became a part of their family also. On the third day, as they were making their way out of the Voyager Room for the last time, the team captain thanked me for my service, and with a big smile on her face gave me an Air Force tee-shirt. It was better than money. This entry was posted in Work and tagged elegant, food service, four-star, hospitality industry, hotels, Preferred Hotels & Resorts, prestigious, work. Bookmark the permalink.